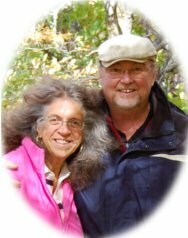 We are Deborah and Roy Lingen. We have been in the stamp business, serving collectors, since 1975. From 1975 to 1983, we operated "The Stamp and Coin Shoppe" in downtown Kingston, Ontario. We were located first on King St, (close to the corner of Princess), then in the LaSalle Mews, and finally at 182 Wellington St (between Princess and Brock St.) We closed that store in 1983. We are now located in Verona, and deal only via the Internet. From 1984 to 1999 we operated as a part-time mail order business from Toronto, Oakville and Oshawa. Since 1999, we have been full time dealers again, operating our business exclusively via the Internet, dealing with a worldwide clientele. We have a steady demand for all good stamps, covers and postcards from thousands of regular worldwide customers. We can assure you of a fast, fair and professional transaction.